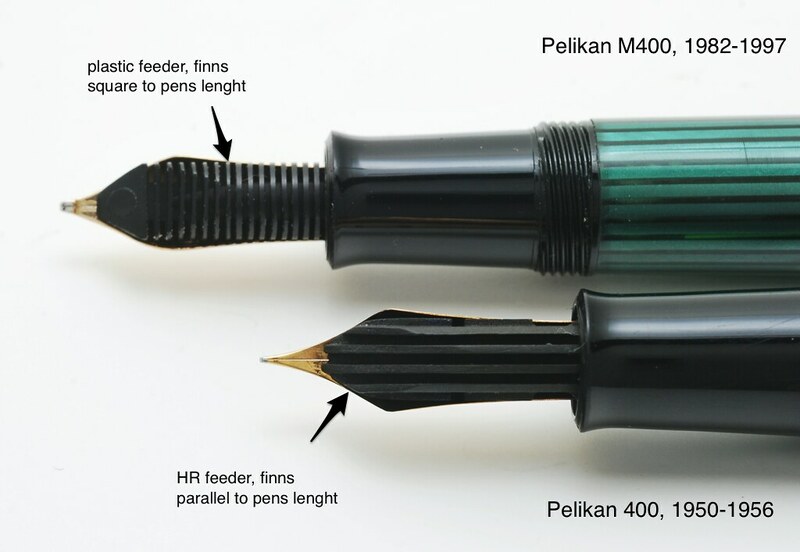 When it comes to Pelikan 400/M400, people do often ask about the differences between the original from 1950's and the original "replica" from 1980's. 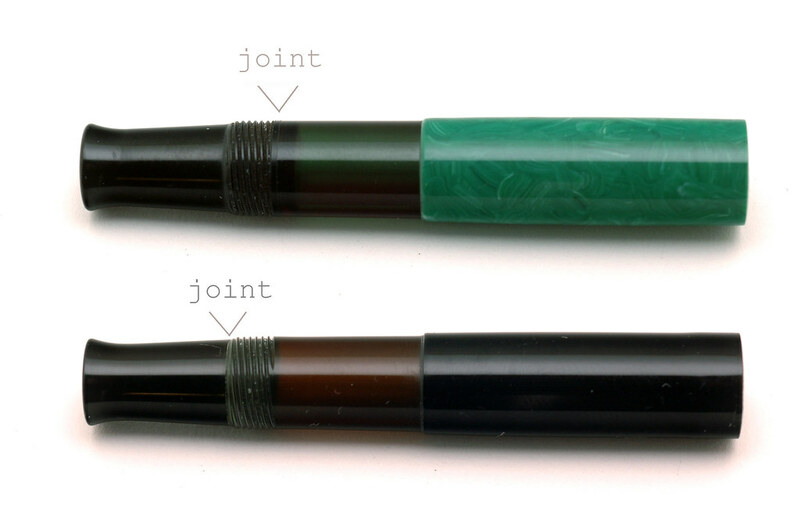 Actually, there are several differences but hard to explain/to see without having both pens side by side. 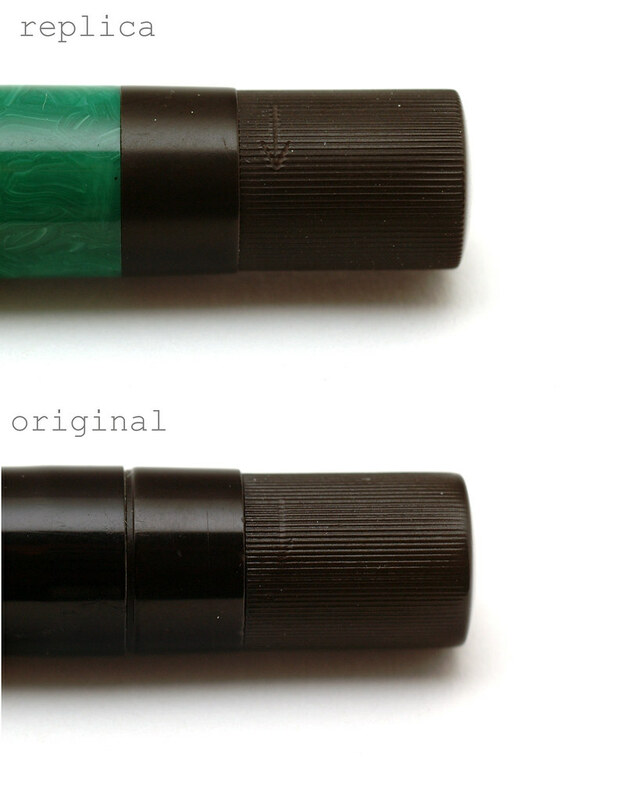 The following pictures show the main differences without any claim for completeness. 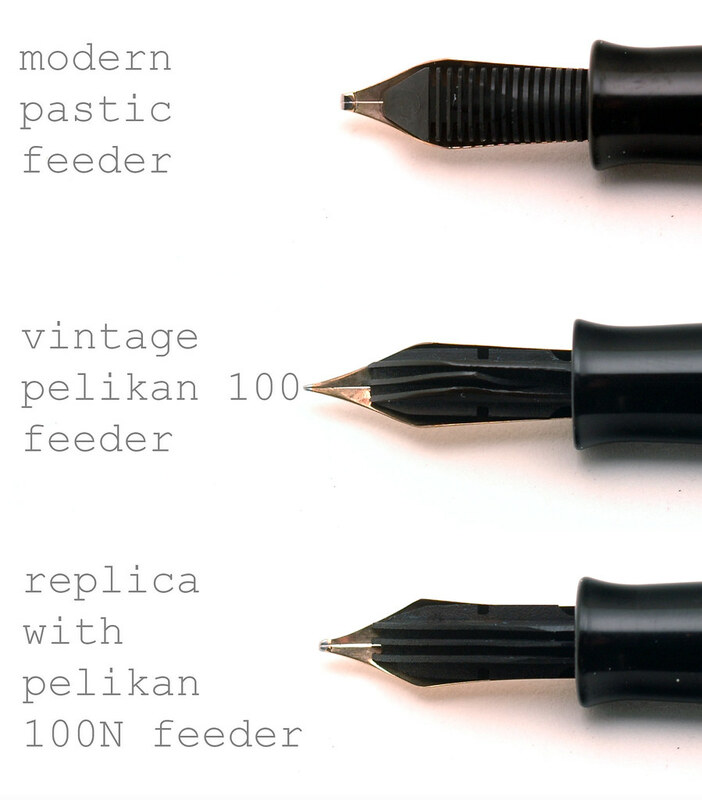 Hopefully, this may help some people to get certainty about when their pens have been made. Edited by Christof Z, 27 December 2013 - 01:45 PM. Excellent comparison. Thanks for posting that. Wow, Christof. That is very helpful. Thank you! Check out "Pena Lusa by Piscov". 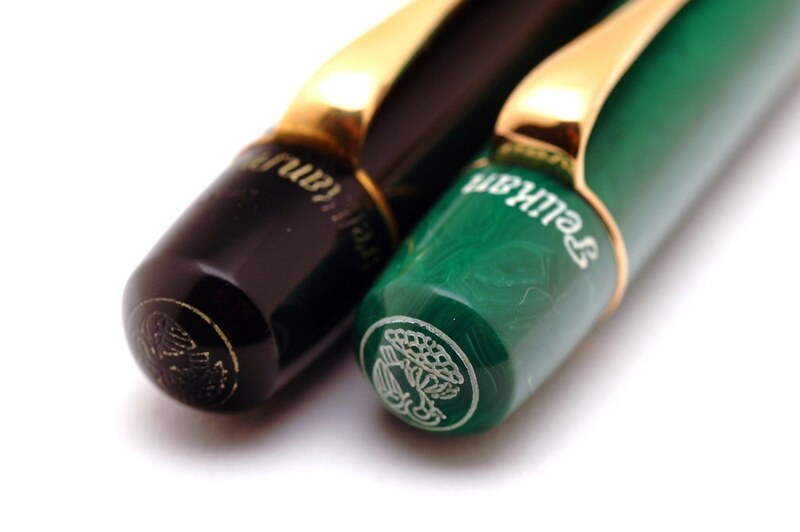 Pens added on a regular basis! Thanks. Glad you liked this. 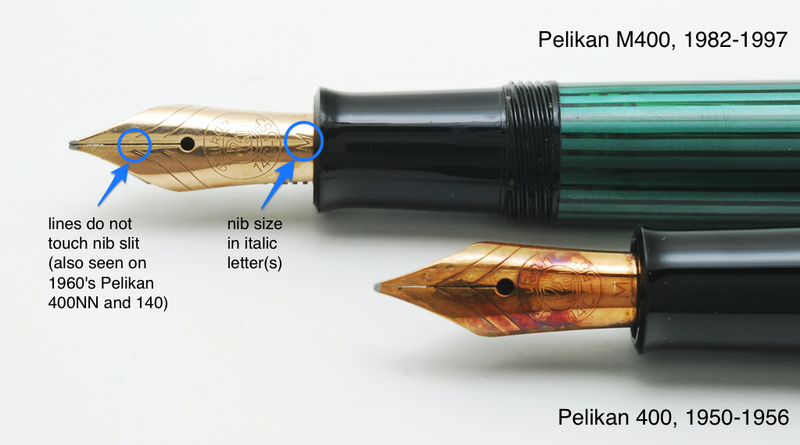 I have to mention that the replica did not come to me with the correct nib. 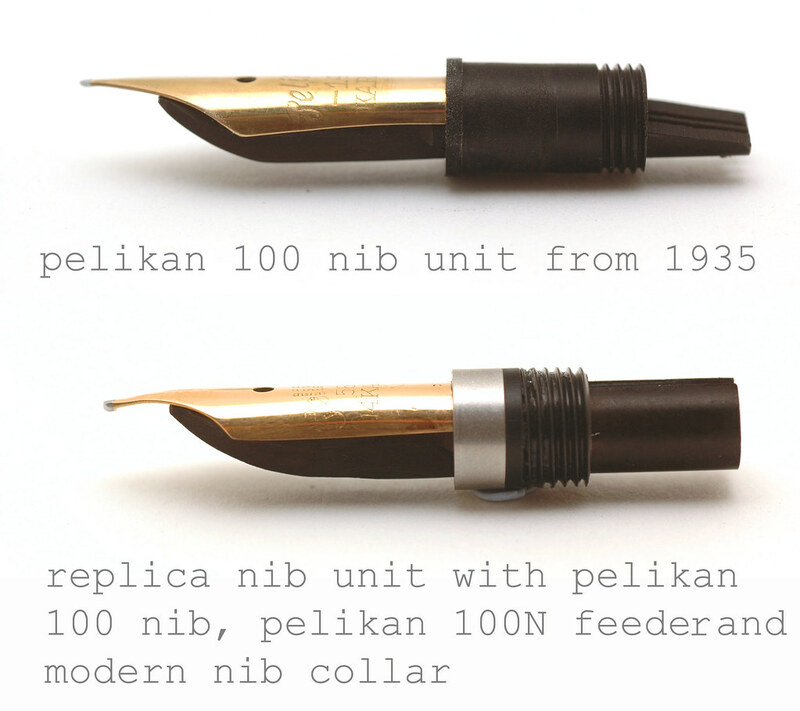 So I built a replica nib unit with an original vintage Pelikan 100 nib, a modern nib collar and a vintage feeder from a 100N (wider diameter). 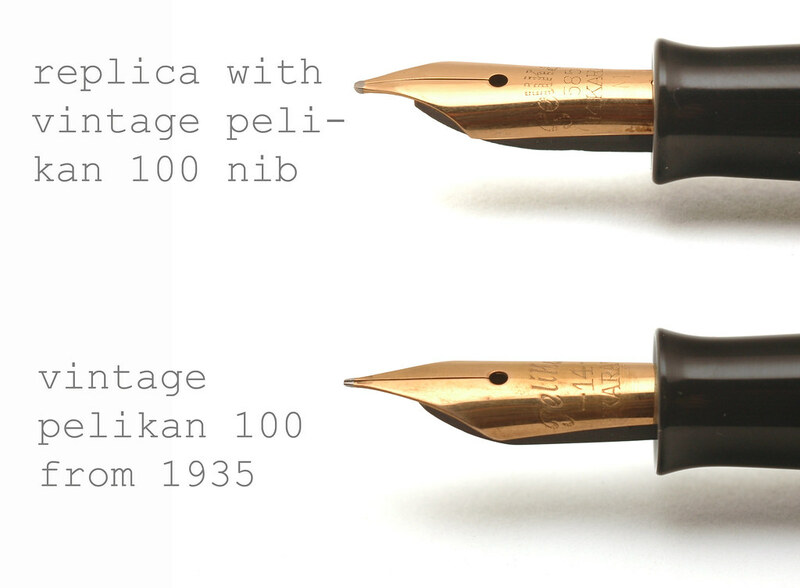 The original replica should be fitted with a modern 18 ct. nib, a modern plastic feeder and a modern nib collar. Hope you will like this too. 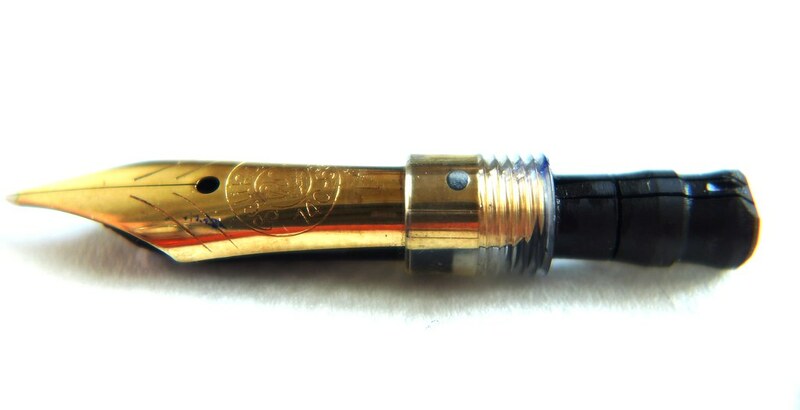 What is that red blemish on the 400 nib? Sorry all for the poor picture quality when compared with Christof superb pictures. 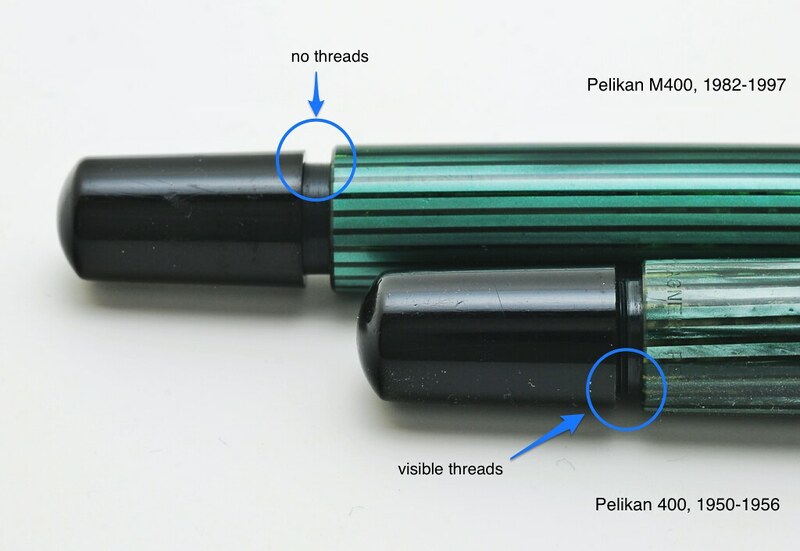 This is a great thread for the Pelikan enthusiast! 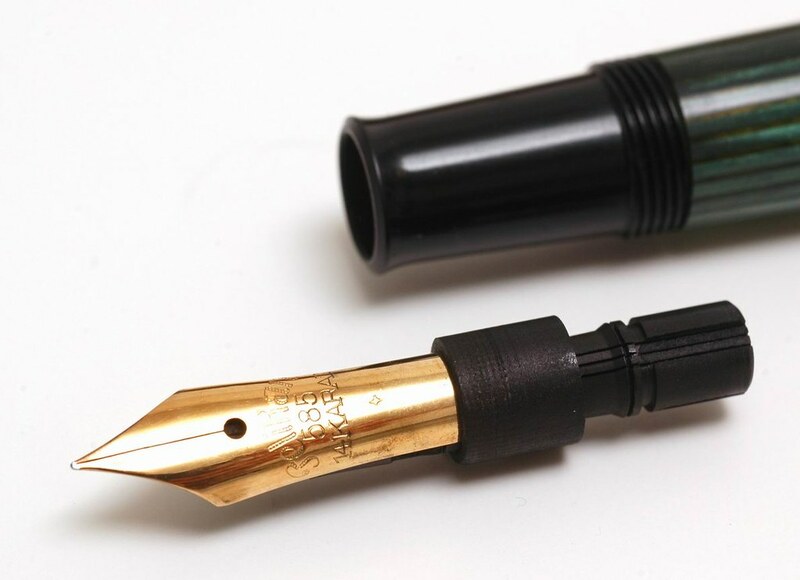 Kudos to Christof! 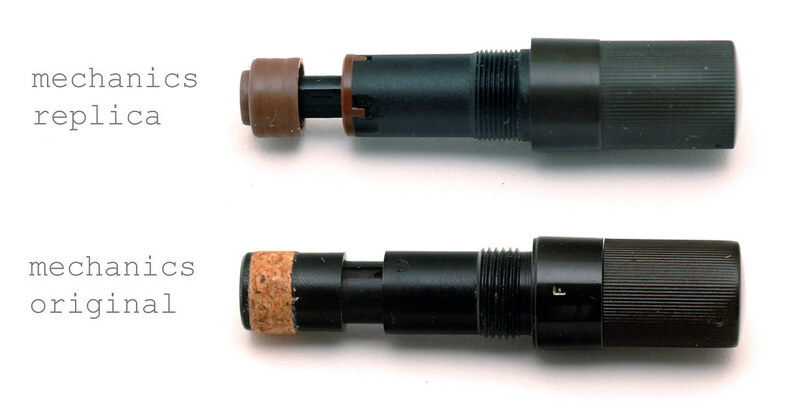 Very interesting and informative comparisons – thank you Christof. 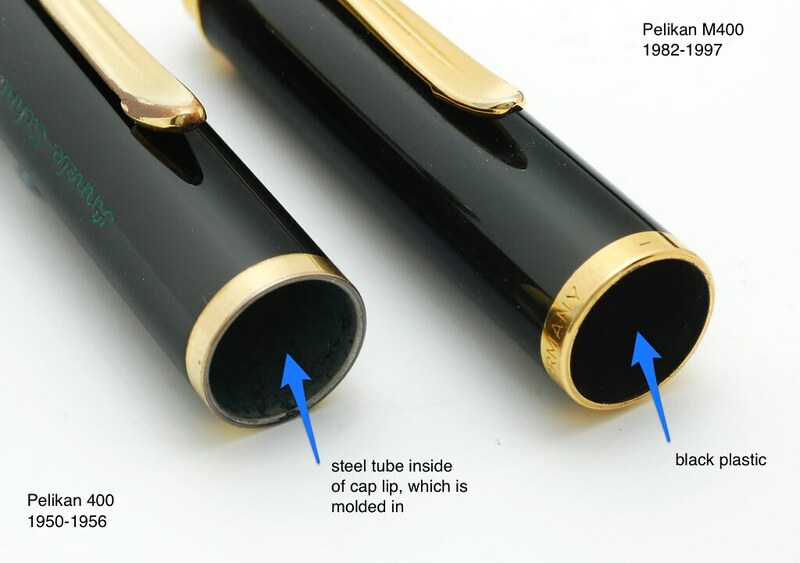 Truly, the Pelikan pens of the 1950s are quite beautiful. This is a great post, thanks. Thanks for adding this, Vasco. 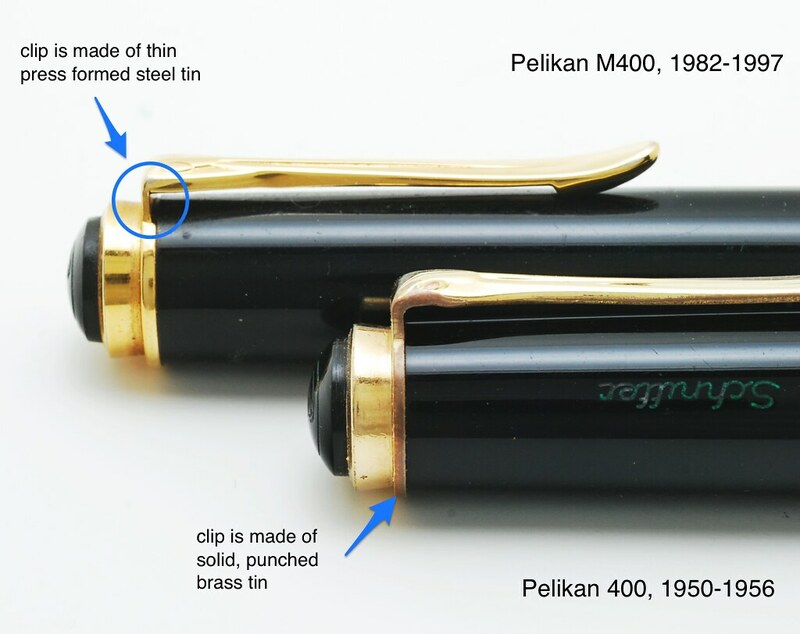 Funny enough to mention is that Pelikan did exactly the same try with the very first Pelikan M400 and M200 in the 1980's. Edited by Christof Z, 09 January 2014 - 04:06 PM. Marvellous work, Christof Z , thanks! 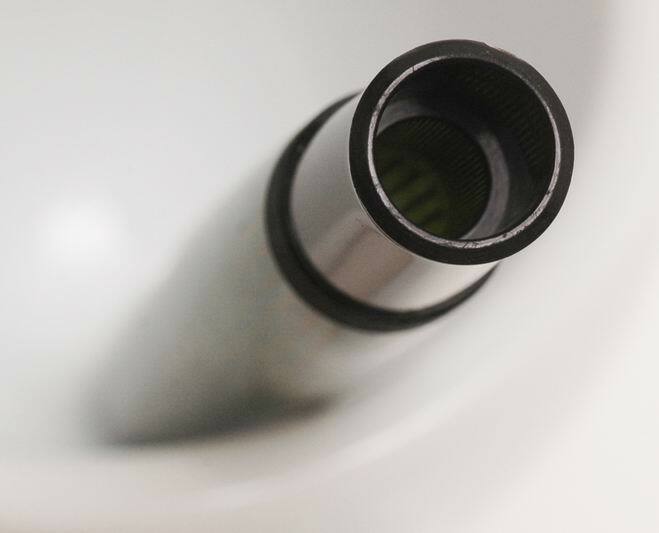 we should pin this topic, great resource here! 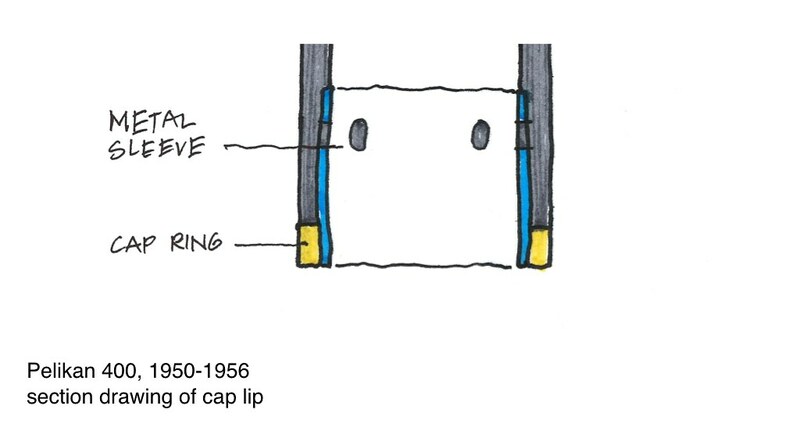 Let's not leave out those prone to crack plastic collars. Edited by soot, 18 January 2014 - 09:00 AM.